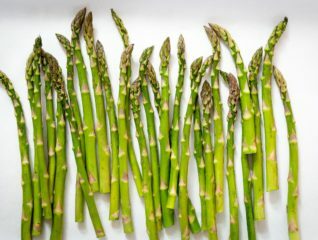 No peeling, no chopping! 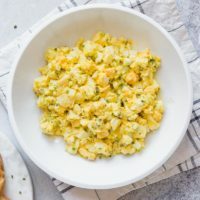 This Instant Pot Egg Salad comes together fast and easy in less than 30 minutes! 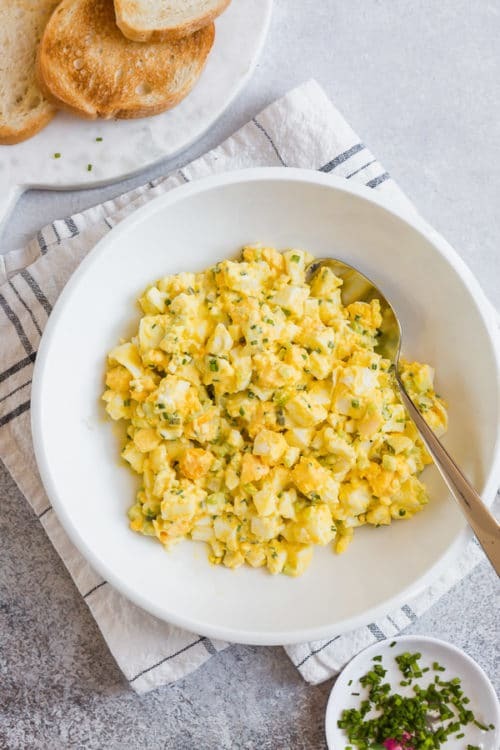 This satisfying classic egg salad, loaded with flavors and textures, is going to be your new favorite thing to cook in your Instant Pot! Crack the eggs into the prepared pan. Now carefully lower the pan with eggs. Once the time is up, allow the pressure to release naturally for 3 minutes, and then carefully turn the valve to venting. Once the pin drops, carefully open the lid. 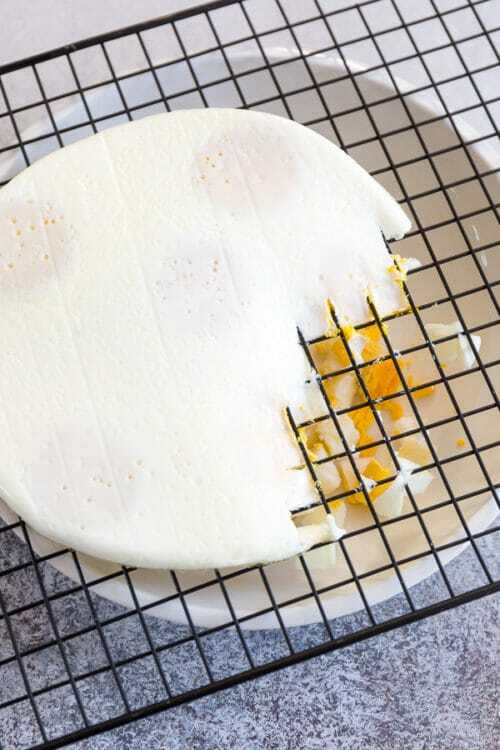 Remove the pan with eggs and invert it onto a cooling rack. Cool completely. To chop the eggs, place a cooling rack over a bowl and push the egg through the rack, as pictured below. Or you can simply chop it with a knife. 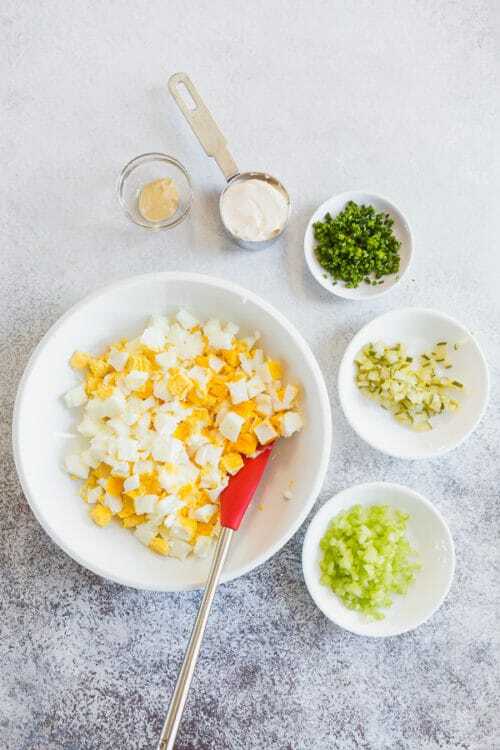 Add the remaining egg salad ingredients and mix well. 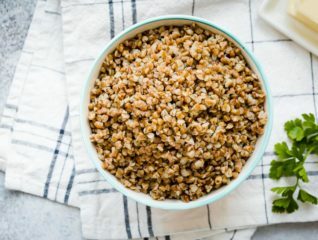 Serve with bread, or eat it by spoon. 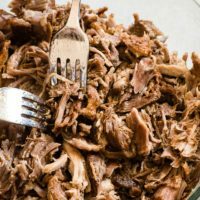 Store the leftovers in an airtight container in the fridge for 3 days. 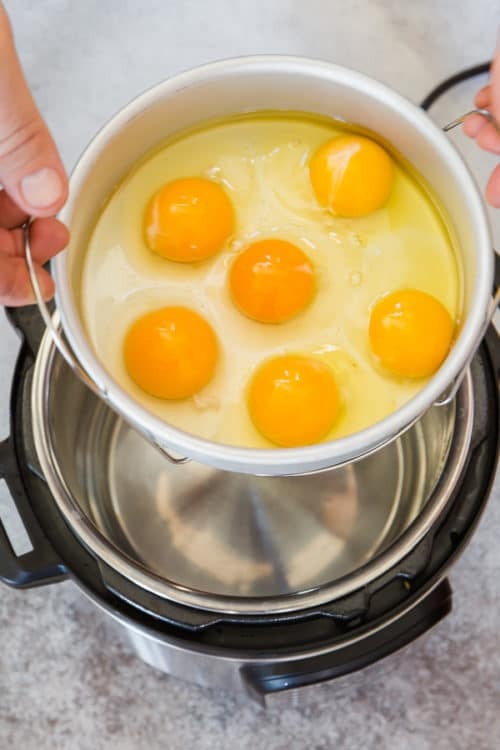 The Instant Pot egg cooking method is inspired by Simply Happy Foodie. 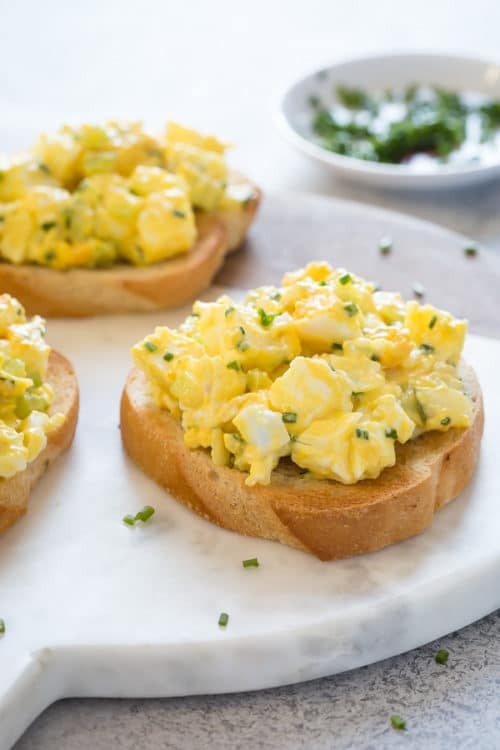 A good egg salad starts with perfectly cooked eggs. 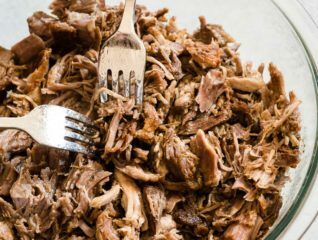 But if you own an Instant Pot, you’re in luck, because there’s a way to cook those perfect hard-boiled eggs without peeling and chopping! Woo-hoo! 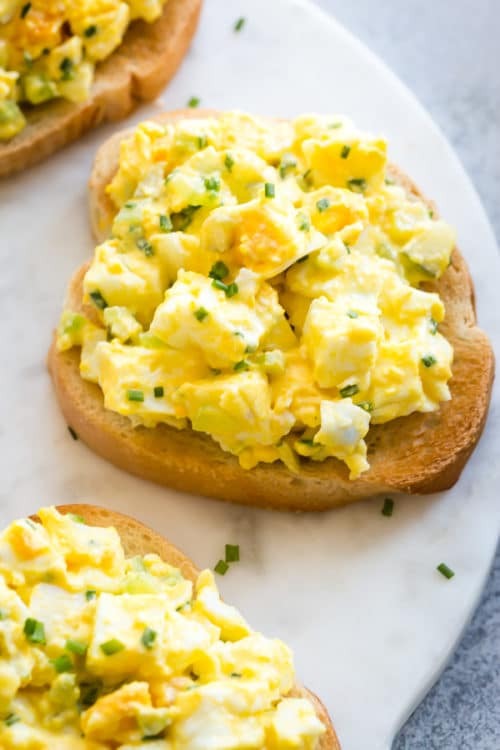 Get ready to devour egg salad in an instant! You only need 20 minutes from start to finish. 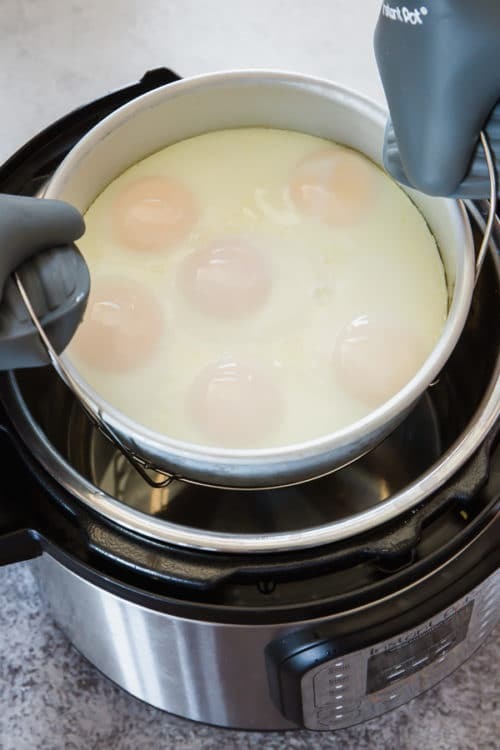 I didn’t come up with this genius way of cooking egg in an Instant Pot. 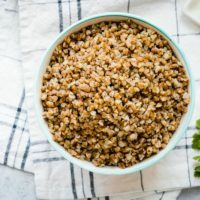 I learned this Instant Pot egg loaf from Simply Happy Foodie. 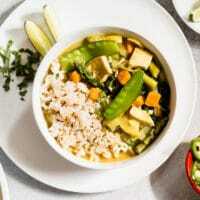 Read her post with all the details about this method. Crack those eggs into a buttered pan. Perfectly cooked eggs ready to be chopped! No knife is necessary, just push the egg though a cooling rack! 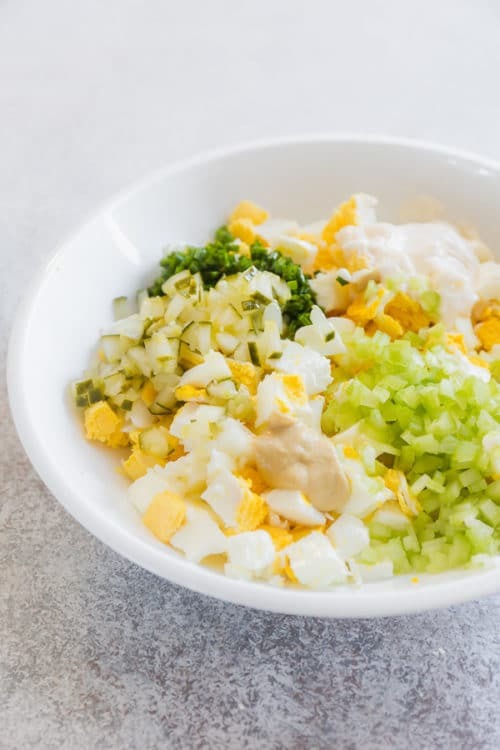 This classic egg salad calls for usual suspects, like celery, pickle, mayo, chives, and mustard. 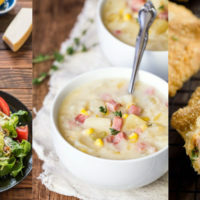 I think these are absolutely necessary ingredients for well-rounded flavor and texture. Finely chopped celery for texture. Pickle adds a nice tang. Mayo makes the salad so incredibly creamy. It’s not an egg salad without a good dash of mustard! In place of onion, use fresh chives. From here on, you can add whatever add-ons you like. 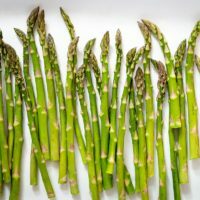 My new way to make egg salad, no mess, no fuss, so easy! A definite game changer! YES, game changer it is!! Thank you so much for your feedback, Lori.